Film songs are part of the Indian cultural life. The news about Ilayaraja’s assertion of copyright and sending notices to singers like SP Balasubramaiam (SPB) and KS Chitra to stop singing songs with his music have sent shock waves among film music lovers and to many singers whose livelihood depends on their freedom to perform film songs or its remakes. Leaving the moral issue aside, Ilayaraja’s action raises these important questions: Whether he has the legal right to stop public performance of songs with his music? Whether his copyright assertion eliminates the possibility of live performance of songs by other singers? Will his action assure him the expected revenue? Whether the Government of India has a role to protect the interest of music lovers and other performers? The first issue to be dealt with is based on the authorship of the song. The song includes musical work, lyrics and the sound of the singer, which is the performance, in which the composer himself is coined as the author of musical work in the Indian Copyright Act and the lyricist is the author of lyrics and the performer is specially identified with a set of exclusive rights as performer’s right. They are the first owners of their work. But generally once the song is incorporated into a cinematographic film, the ownership is transferred to the producer of the film based on a contractual relationship. Often, the composer surrenders all the rights to film producer and the film producer become the sole recipient of royalty. Therefore, Ilayaraja might have fully transferred the copyrights of some of his musical compositions to film producers through a contract. In the absence of a contract, Ilayaraja can assert that use of his compositions outside the film still rests with him. This situation deprives lyricists, musicians and singers of the right to royalty for the use of their work outside the film such as FM radio, ringtones etc. The 2012 amendment to the copyrights Act assures the right to royalty to the music composer, lyrists and singers for any use of their work outside the film. The amendment also makes illegal any surrender of right to royalty through contract. As a result, even though the rights are transferred, the producer does not have the right to object the performer from enjoying performer’s right without hampering other author’s rights. So, the composer, lyricist and performer have the right to get royalty in an equal basis with the assignee of the rights, generally producer. However, this will apply only on the music works created after the notification of amendment. Collecting societies are entrusted to collect royalties on behalf of copyright owners for the use of copyrighted film songs and other musical work. For a public performance of music other than religious functions, one needs to pay royalty to three collecting societies. Ilayaraja is believed to be a member of IPRS (Indian Performing Right Society) and it is expected to collect royalty for him. The IPRS is also expected to collect royalty from its counterpart ASCAP (American Society of Composers, Authors and Publishers) for public performance of his musical compositions in the US. However, the government has frozen IPRS accounts, based on prima facie findings of corruption charges. We have to consider the singer’s part in the musical work also. He is considered to be the performer and is given an exclusive right called the performer’s right. And the producer or the owner of the musical work cannot object him from enjoying the performer’s right, in which he has got the right to enjoy certain rights without hampering the right of other authors of the work (here, 38A (a) (iii) communication of it to the public). 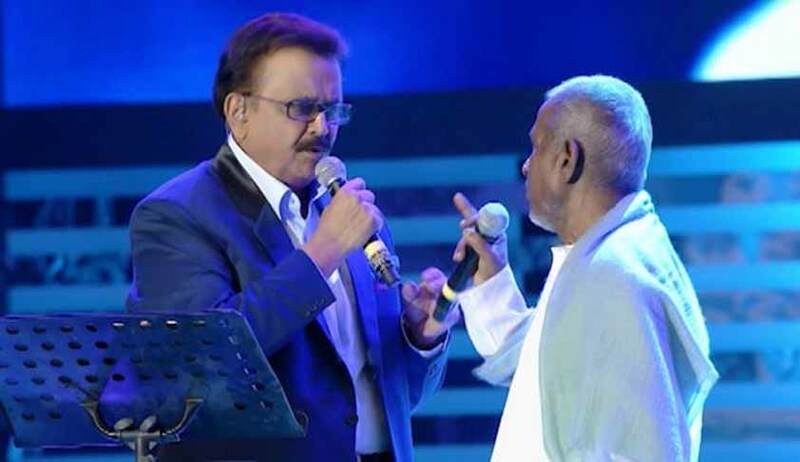 ‘Without prejudice to the right of the authors included in the work’ is the important part relevant here because SPB (the performer here) should not hamper the right of Ilayaraja, as he is the composer and the lyricist. So, each three of them has an equal right to get royalty. Ilayaraja has only a right to receive royalty and cannot block a singer from singing the song. Interpretation of ‘without prejudice’ in the copyright law cannot be read as ‘without consent’. One is not sure that Ilayaraja’s assertion of copyrights would enable him to obtain royalty from the singers who earn their revenue from public performance. The singers are free to perform songs with a different music. In that case, the singer is not obligated to pay any royalty to the music composer. However, this may affect the music lovers’ urge to listen to the song with original music composition. The Indian copyrights law has addressed similar situations in the past. For instance, when music labels’ assertion of copyrights was threatening the availability of musical works to FM radio stations, the copyright amendment Act 2012, provided statutory licence provisions. Apart from famous singers like Lata Mangeshkar, Yesudas, SPB, Chitra etc., there are thousands of singers who earn their livelihood through singing in restaurants, clubs or social functions. The availability of songs along with original music is essential. Therefore, the copyright Act should be amended to make provisions for statutory licence of such uses. The statutory licencing provisions should ensure that the right to perform is available at an affordable price. The state should enact law to ensure people’s right to enjoy in cultural life is intact. Muhammed Faris V is a Research Scholar in Inter-University Centre for IPR Studies, Cochin University of Science and Technology (CUSAT).